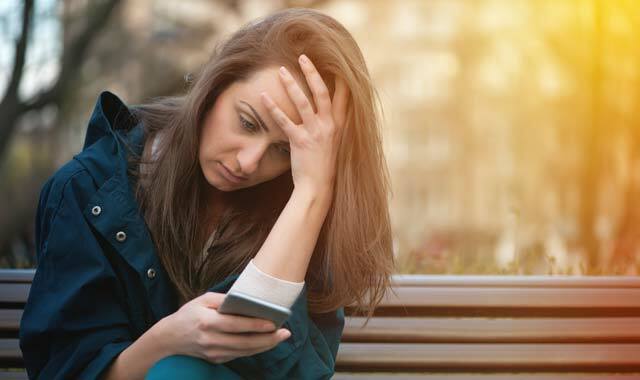 With the help of a new mobile phone app, a new 24/7 crisis network is here for those suffering from depression, substance abuse, bullying, suicide and more. Easy to remember and easy to download, MCHELP is a new app for mobile devices that grants access to immediate 24/7 crisis lines via voice or text as well as a broad list of assistance including A Way Out for Substance Abuse, Information and Referral via 2-1-1, McHenry County Mental Health Board links to resources and Q.P.R. Suicide Prevention. Funded by the Community Foundation, MCHELP was developed and is promoted in partnership with Community Foundation and United Way of McHenry County, McHenry County Mental Health Board and Centegra Health System. Crisis line users vary in age, urgency and situation. MCHELP app is available for students who are anxious about tests as well as young adults suffering from depression, substance abuse, bullying, suicide and more. Parents may call or text concerns about their children. When individuals need help but are not in urgent crisis, the MCHELP app offers 2-1-1 information and referral for a live operator who can answer questions about situations and needs. Coordinated with United Way of McHenry County, 2-1-1 has long provided help on housing, unemployment, food pantries and other important needs. McHenry County Mental Health Board provides a complete list of county resources for mental health concerns with links to specific networks. Just one click on the app can connect to Rosecrance for substance use issues, counseling services and veterans support programs. There’s also detailed information about A Way Out for Substance Abuse, a program that’s so far helped dozens of individuals take a critical step in recovery. Q.P.R. Suicide Prevention enables individuals to recognize the signs of suicide in friends and family members. Doeden recommends that residents and those who spend time in McHenry County download the MCHELP app. After all, you never know when you may need it. Available via Google Play or Apple’s App Store, the McHelp app, once it’s on your device, provides quick access to resources and support. Funded in part through an anonymous donor via the McHenry County Community Foundation, MCHELP App was recently expanded from a texting crisis line to an extensive and comprehensive resource for mental health and social support. Reports on app use indicate that the number of users increases each month. To learn more about the many tools contained within the MCHELP app, visit mccfdn.org. This entry was posted on Friday, November 3rd, 2017 at 12:00 pm	and is filed under Mind & Spirit, Top Posts. You can follow any responses to this entry through the RSS 2.0 feed. Both comments and pings are currently closed.